If there is a better list of images for educational use (that are free) than the one assembled and blogged on Edubeacon, let me know. But I suspect not. Don't forget to share this one with your teaching colleagues. Thanks for your endorsement of my list of images for education. There are so many wonderful resources becoming available almost daily that this list will not be exhaustive but is a good place to start. 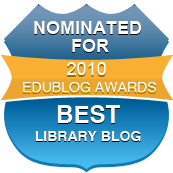 Diigo such a useful tool for teacher librarians.